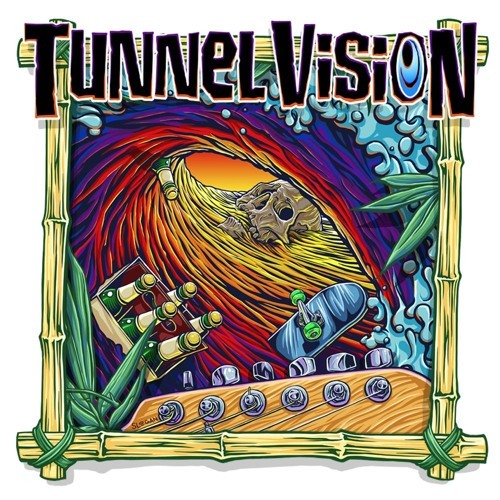 San Diego’s newest rising musical export Tunnel Vision has released their self-titled debut album Tunnel Vision on Whiskey Barrel Records, produced by Grammy Award-winning James M. Wisner (Snoop Lion, Slightly Stoopid). The album is a genius mix of alternative rock, reggae and ska which many refer to as the San Diego sound, but this band takes it up a notch. While touring with bands such as The Expendables, Seedless and The Movement, “breaking out” would be an understatement for this young Southern California band. As reviewed by Andrew Aroche, of The Pier, "This band is, without a doubt, one of the year’s best new artists and the success of this album, so far, proves it"